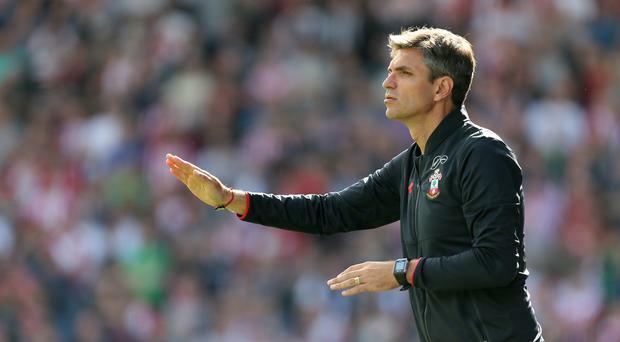 Southampton boss Mauricio Pellegrino warned his team they cannot afford to switch off against Watford if they are to maintain a positive start to the Premier League season. The Saints remain unbeaten in their opening three league games, although they did crash out of the Carabao Cup at home to Sky Bet Championship side Wolves. With Dutch defender Virgil van Dijk now being reintegrated into squad after the club fended off any suitors during the transfer window, Pellegrino is determined to move the group forwards. "It is a really competitive squad. We can always improve and have to be prepared for the future," Pellegrino said at a press conference. "We have a squad which is really young, with quality and I think we can give another step this year. "We had to learn from every single game, to improve in all of the different aspects, the limit of this team we can improve a lot. "We have to understand how to read some situations, but I am happy with the spirit of the team, to be open-minded, to be humble and to learn. "In the Premier League, every single team is very tough, in every second you can lose or you can win, so we have to prepare for these moments." Like Southampton, who replaced Claude Puel with Pellegrino over the summer, Watford are looking to move in a new direction with Marco Silva now in charge. The Hornets opened the new season by battling to a 3-3 draw at home against Liverpool and remain unbeaten, although they too failed to progress in the Carabao Cup after a much-changed side went down 3-2 against Bristol City. Pellegrino has been impressed by the approach of Watford under the Portuguese , who just fell short in keeping Hull up last season. "They are a really intelligent team, with a good reading of all the different moments," the Southampton manager said. "Watford have dangerous players in attack and big players on the set plays, with really quick players on the counter, so we need to be there 100 per cent to have our chances, but I think we will compete. "I know that it will be really tough, but we have to try to manage the game in our way. If we can put the ball on the floor and keep possession then I think we will have our chance."